The first time Raees director Rahul Dholakia narrated his story to Shah Rukh Khan, the superstar told him one thing right away: nobody could play the lead role better than him. Naturally. This is the actor, who once swept audiences into a frenzy with his famous dialogue, “Haar kar jeetne wale ko baazigar kehte hain.” That was 1993 and the movie was Baazigar, where Khan played a career-defining role as Ajay, the vengeful anti-hero. 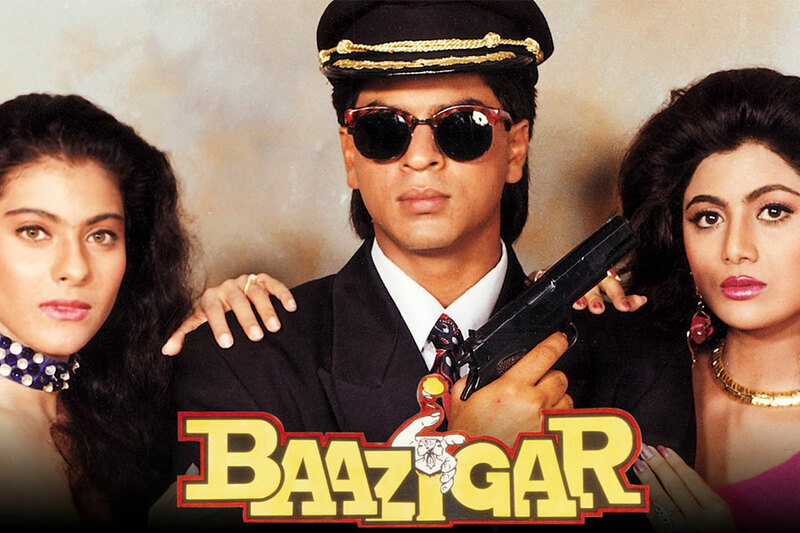 Directors Abbas-Mustan recall that when they approached Khan with Baazigar, he said the same thing he told Dholakia. Prior to that, the part had been rejected by Akshay Kumar, Anil Kapoor and Salman Khan. Even trade pundits were sceptical about the revenge thriller. But the film defied expectations to become the biggest hit of 1993, claiming four Filmfare Awards, including SRK’s first Best Actor trophy. According to the initial plan, Venus (producers of the film) wanted to do a film with Abbas-Mustan inspired by the 1991 Hollywood thriller A Kiss Before Dying. However, the story, about a man who murders for money, would need suitable alterations to find acceptance among Indian viewers. Akash Khurana: Robin (Bhatt) and I had written Aashiqui together and after its success, we collaborated frequently. When Venus wanted to make another film, we were approached to script it. Robin Bhatt: I had read A Kiss Before Dying and had seen the film too. The film begins with the murder of Dorothy (Shilpa Shetty’s character) but for Indian audiences, it would’ve been a little abrupt and shocking. So, we gave a background to their story and established a relationship between the two, prior to the murder. Abbas Burmawala: In the earlier version, Priya (Kajol) was supposed to kill Ajay (Khan) in the end — much like the original plot. The scene where Ajay pushes Seema (Shilpa Shetty) off a high rise is the first time the audience gets an insight into his nefarious side. Till that point, he is seen romancing her sister Priya. This strategic twist paid off and I remember that the audience was left shocked. But what confounded us more was the next scene when Ajay casually walks past Seema’s dead body. The audience was rooting for him. Abbas: We approached Anil Kapoor. He felt the role was too negative and that it was early for him to consider it. Salman (Khan) was excited about the script but he was occupied with a Rajashri film. Ratan Jain: We then reached out to Shah Rukh and after the narration, he told me that only he could carry off the role. I liked his confidence. We approached Anil Kapoor. He felt the role was too negative and that it was early for him to consider it. Salman (Khan) was excited about the script but he was occupied with a Rajashri film. Robin: We were surprised when Shah Rukh told us not to soften his character’s negativity even if the distributors pressurised us. With so much weighing on the character, his endorsement was heartening. Dalip Tahil: While going through the rushes, the distributors couldn’t digest the fact that the hero murders one of his leading ladies. To be honest, when I saw the scene where he pushes Shilpa off the terrace, I was a little worried. Raj Kapoor had famously said that “You should never kill young love” but Shah Rukh stuck to his conviction and told us not to worry about the success of the film. Abbas: There was an additional pressure on us for killing SRK’s character in the end. Distributors were apprehensive about that too. Ratan: Prior to including the track about Ajay’s family history, the motive for the murders was money. He romances two sisters, eliminates one and marries the other. In fact, the script with which we approached Salman and even Shah Rukh, didn’t have the mother angle at all. Abbas: When we decided to add the mother angle, we were told that this would make it melodramatic like any 70s film. In fact, we had to convince the producers and our writers about that track. While going through the rushes, the distributors couldn’t digest the fact that the hero murders one of his leading ladies. To be honest, when I saw the scene where he pushes Shilpa off the terrace, I was a little worried. Ratan: I had watched Kajol’s Bekhudi and felt that she would suit Priya’s character. For Seema’s role, we first approached Ayesha Jhulka, as our last film (Khiladi) with her was successful but she was upset at not being cast as Priya and refused the role. We even offered Madhuri Dixit Rs 25 lakhs to play Seema but she didn’t want to play second fiddle. Sridevi agreed but suggested that we make the sisters twins so that she could essay both. But we didn’t think that would work. Abbas: Sridevi was at the peak of her career then and bumping her off in the film wouldn’t go down well with the audience, so we decided to cast a newcomer instead. Abbas: SRK’s contribution to the film went beyond his role as an actor. For the shoot, we needed a bungalow, which would be the residence of Madan Chopra (Tahil). SRK took us to Delhi to look at a couple of farmhouses and luckily, we found what we were looking for. Shilpa: My first shot with Shah Rukh was for the song ‘Ae Mere Humsafar’. I remember that since I was new to films, I didn’t know how to face the camera during the song sequence. This is when Shah Rukh told me, “The camera is your audience and you have to face it. You can’t turn your back to it.” This advice has stayed with me to this day. Abbas: SRK improvised his own scenes. After Seema’s friend Anjali is murdered, SRK was required to do away with her photograph but instead of tearing it into pieces or chucking it away, he decided to swallow it — adding a realistic touch to the scene. Another scene which he made his own was the contact lens scene. The scene shows him frantically searching for his contact lens, which he accidentally drops into the washbasin. The way he built tension in the scene was outstanding. SRK improvised his own scenes. After Seema’s friend Anjali is murdered, SRK was required to do away with her photograph but instead of tearing it into pieces or chucking it away, he decided to swallow it — adding a realistic touch to the scene. Abbas: While shooting the climax, we had decided to shoot Kajol’s scene first (when she goes to his house and sees the photographs and then Ajay walks in). So we asked SRK to come to the set in the afternoon. By the time, he came, we were done with Kajol’s scenes and her counter shots. In those days, once the filming was done, it could only be viewed at the editing table. So, to get the expressions right for the shots (where he responds to Kajol), he insisted on hearing the audio on Nagra (a high-end recorder) to understand the intensity of the scene and then got down to shoot. He was unlike any actor because, he believed in being in front of the subject, even for counter and cutaways. Robin: The part played by Johnny Lever (housekeeper Babulal) was not in the book or the Hollywood film. His role was essential to diffuse the tension and give audiences a break from the serious proceedings. But creating a character that has nothing to do with the story also risked destroying the film. Akash: We didn’t want Babulal to be like the comic characters of movies from the 1970s-80s who had a parallel track that was not integral to the story. Abbas: Babulal was important to the plot. In the telephone scene where he forgets the message he is to convey and ends up saying, “Anaarkali ka phone tha, ice cream khana bahut zaroori hai”, he builds tension and then releases it. Dalip: While shooting the climax, I had a feeling that the directors are overdoing the gore. Shah Rukh was loving the blood fest and kept on pouring fake blood on himself. But when I watched the sequence on screen, I stood corrected as it came out well. Abbas: The distributors were apprehensive about the climax. But as Madan Chopra jabs the rod into him, Ajay takes him down with him. He then puts his head on his mother’s lap and dies. We knew that with the ‘mother ka angle’, he will be accepted by the audience and will be forgiven for the killings. Even before the film released, SRK had predicted a Filmfare award for himself. And when he got one, he came straight to our house. It was around 4am when my wife woke me up to tell me that an entourage of seven cars was outside our chawl in Bhendi Bazaar. Abbas: Following the overseas release, the whole team had gone to London for promotions. We would visit various theatres to gauge the audience response and after the screening, an interaction with the audience would follow. The two frequent requests would be the dialogue ‘Haar ke jeetne wale ko baazigar kehte hai’ and ‘Kaali Kaali Aankhen’ and the auditorium would erupt with applause when SRK would perform either of these. Dalip: Recently, I was shooting in Ramoji Film City for a period TV show. I was in regal makeup and costume, when a tourist greeted me as ‘Madan Chopra’. Despite featuring in several box-office hits, people still remember me for this role. Abbas: Even before the film released, SRK had predicted a Filmfare award for himself. And when he got one, he came straight to our house. It was around 4am when my wife woke me up to tell me that an entourage of seven cars was outside our chawl in Bhendi Bazaar. It was the month of Ramzan and the residents in the area were already up. So, by the time SRK reached the gallery of our house, there were 2000 people cheering and waving at him. We had a tough time managing the crowd. Even before going to his own house, he travelled all the way to town to seek our blessings. Dalip: Darr may have done better business but for the audience, it was Baazigar, which first gave them their superstar. 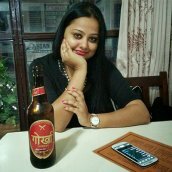 Sayoni Sinha is a Mumbai-based freelance journalist who writes on films, food and everything in between. In her 12-year-long career, she has worked with Times Now, Mumbai Mirror and Yahoo.